Ms. Winslow is a member of the firm’s Executive Committee and a member of the Real Estate Acquisition, Leasing, Banking Law and Corporate Law practice groups. Ms. Winslow’s corporate transactional practice focuses on partnerships and joint ventures, real estate acquisitions and dispositions, stock and asset acquisitions and dispositions, construction and development agreements, equity and debt financings, retail and office leasing, and management and employment arrangements. She advises a broad range of clients, ranging from real estate investment trusts, large corporations, real estate developers, small business owners and individuals throughout Westchester County and surrounding areas. Heidi has extensive experience in negotiating joint venture transactions as well as business sales and acquisitions, and offers her clients valuable insight into the critical issues that are involved in such transactions. Ms. Winslow’s real estate practice involves all classes of real property, including mixed use projects, retail shopping centers, hotels, office buildings, commercial condominiums, parking garages, multi-family projects and private residences. When representing owners and developers in large-scale development projects, she not only handles the acquisition phase of the project but also advises her clients on construction matters, property management and leasing. Heidi seeks to find creative solutions to accomplish her clients’ diverse business needs, and is often called upon to help in the non-judicial resolution of contract and construction disputes. 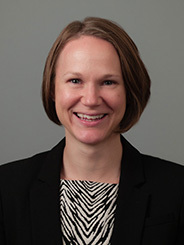 Prior to joining our firm, Ms. Winslow was an associate in the corporate department of Weil, Gotshal & Manges, LLP, working primarily on structured finance transactions. Heidi lives in Yorktown, New York, with her husband, Jon, and her two daughters, Makayla and Madison. In 2016, Heidi was honored by the Business Council of Westchester and received the “Rising Star – 40 under 40” award which recognizes young professionals and entrepreneurs who have demonstrated leadership and excellence in their profession.